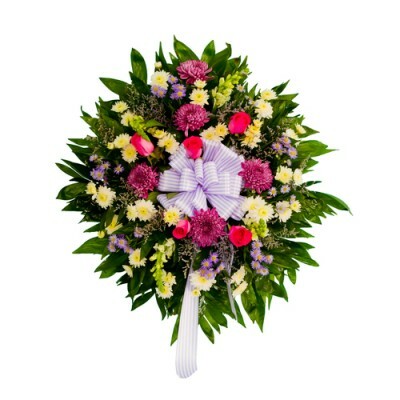 The Peaceful Memories funeral wreath radiates color and light to honor the life of someone joyful and happy. 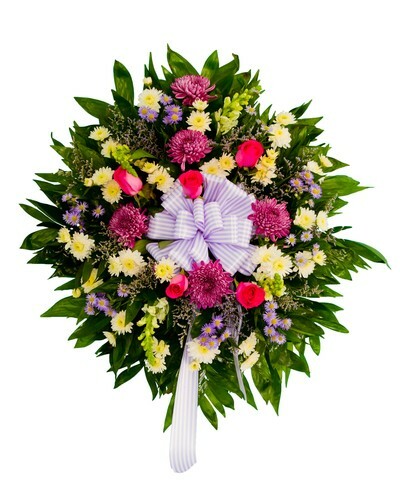 The Peaceful Memories funeral wreath will include vibrant flowers and lush greens. Floresnaweb will chose the freshest blooms to honor the life of the deceased in Brazil. Substitutions may be necessary to ensure the wreath is delivered on a timely manner depending on availability. Please allow 5 business hours for your sympathy spray or floral arrangements to be designed and delivered. The picture is illustrative however the standing spray delivered will have the same quality standard. Some flowers and greenery may differ according to availability of our local florist however we guarantee the effect and satisfaction of recipient.